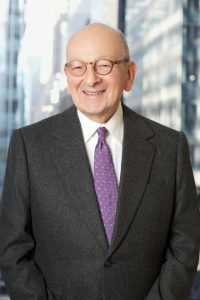 April 8, 2019 | New York, NY Offit Kurman’s streak of mergers and acquisitions (M&A) activity continued last month with two transactions closed on behalf of clients in New York. 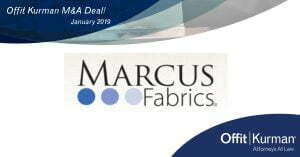 On March 19, 2019, Marcus Brothers Textiles, Inc. sold to Timeless Treasures Fabrics of Soho, LLC. Attorney Stuart B. Newman represented the buyer throughout the transaction. For over 100 years, Marcus Fabrics has produced fabrics for quilting and crafts, emphasizing creativity and high quality. The family-owned company has worked with leading textile designers and reproduction specialists such as Judie Rothermel and Karen Phillips-Shwallon. Timeless Treasures, also a family-owned business, is a wholesale retailer with more than 50 years of experience in creating designs for quilting, crafts, and manufacturing. The company’s team of fabric designers comprise artists, illustrators, quilters, and studios from around the world.